Current style trends for the home are telling homeowners that “less is more” – even when it comes to lighting. As a result, people are taking down their ceiling fans and replacing them with alternatives such as can lighting or minimalist light pendants. However, before you begin to replace all of the ceiling fans in your home, you should consider the basic benefits of ceiling fans. In both the winter and summer months, you might notice that some rooms in your home are warmer or colder than others. There are many factors that play a role in home temperature difference, however, you can help to remedy the situation with ceiling fans. When set to turn counter-clockwise, ceiling fans help to move air around and between rooms to create a more even temperature climate. Because ceiling fans have the ability to move air and regulate temperature, your furnace and air conditioning units do not have to work as hard. 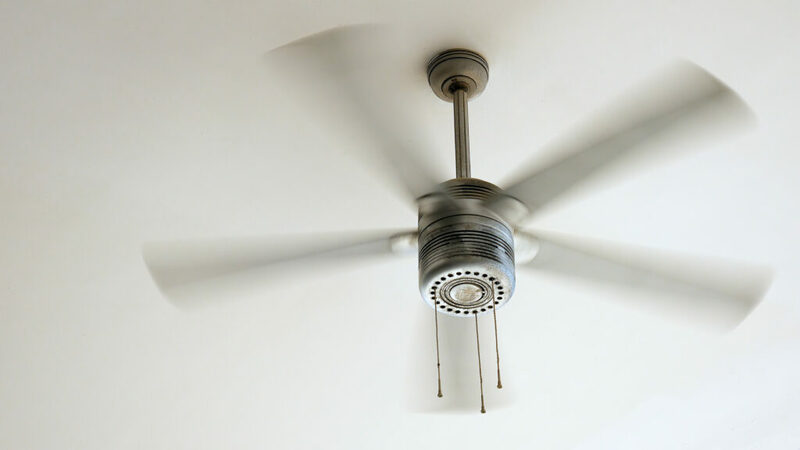 Furthermore, during the spring and summer months, ceiling fans can pull in air from the outside on a nice day so you can avoid turning on your A/C unit. As a result – your utility bill at certain times of the year will be lower than before. Many celing fans come equipped with a source of light. Some of these light sources can even be set to a dimmer so you can control the ambiance of the room. Although they are not as minimalist as can lighting, ceiling fans eliminate the need for floor lamps while also providing other benefits to your home. Ceiling fans provide so many benefits to your home that it’s hard to find a reason NOT to get one. They also come in a wide variety of colors, styles, and finishes – making it easy to choose the ceiling fan that is perfect for your home. If you want to install a ceiling fan in your home, just call 410-SAMEDAY. The professionals at Arctic Plumbing, HVAC<, and Electric will be happy to install it for you right away!